energy drink-related deaths have doubled over the past four years, which doesn’t look good for manufacturers. Just as disturbing, I’ve read about a trend popular among young people to mix energy drinks with vodka for a fruity alcoholic beverage that’s easy to consume, so quickly knocking back several drinks isn’t a problem. This stimulant/ depressant evokes a cocaine/ heroin combo: a pleasant high followed by a miserable crash, addiction, and worst of all, potentially death. I don’t want to sound alarmist here. If you’re healthy, drinking a Monster, Red Bull, or 5-Hour Energy probably won’t send you to the hospital. But neither is it the safe and even healthy beverage manufacturers want you to believe. Make these energy drinks an expensive habit and you’re setting the stage for a roller coaster of energy highs and lows, addiction, adrenal burnout, and other health problems. 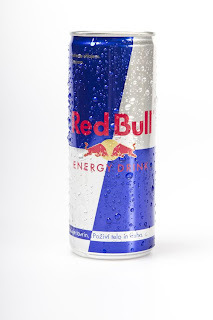 According to the New York Times, energy drinks are the fastest-growing segment of the beverage industry. Underlying their popularity is a sleep-deprived, overworked, adrenal-fatigued, chronically stressed population looking for a quick fix to gain energy and get through a hectic morning or afternoon. Marketers do one heck of a job marketing these drinks. The name alone proves enticing. I mean, who doesn’t want 5-hour energy? (Me! I do.) Monster and Red Bull likewise suggest always-on, always-focused personalities ready to energetically tackle anything with gusto. Adding guarana, taurine, and other healthy-sounding nutrients gives these drinks a healthy halo effect. Let’s be honest though: you’re not drinking this stuff for its nutrients or supposed other benefits. No, you’re buying energy drinks for their caffeinated jolt. Indeed, a study in the journal Nutrition Reviews found the primary boost in energy drinks comes from caffeine. The other stuff: not so much. Energy drinks resonate with people – let’s be honest: mostly kids, teenagers, and college students – who don’t like coffee’s taste but need that caffeine boost to keep them going. Manufacturers appeal to that demographic by claiming energy drinks are safer than coffee. Sorry, I'm not buying that. Along with naturally occurring caffeine, coffee is loaded with antioxidants. In small amounts, coffee can be beneficial and healthy. Energy drinks, on the other hand, come loaded with chemicals, added caffeine, and sugar or artificial sweeteners. Their innocuous fizzy fruity taste makes them very easy to overdrink. Ultimately they lead to a miserable crash that leaves you reaching for another can as a pick-me-up. Listen, I’m not suggesting you abuse caffeine in any form. A cup of organic dark roast can provide a great pre-workout boost, but guzzle caffeine in any form throughout the day and you elevate your stress hormone cortisol, impede solid sleep, and ultimately trigger the same spikes and crashes these energy drinks create. We’ve all been there. Maybe you juggle two jobs while cramming for midterms. Or you’ve got the boss from hell yelling at you to meet end-of-quarter quota after a sleepless night because you fought with your boyfriend. Everyone has energy crashes, but constant fatigue can suggest underlying issues. Rather than masking these problems with energy drinks and other caffeinated beverages, determine what creates these daily energy lags. I get it: it’s much easier to avoid that question and simply reach for another Red Bull or hit up Starbucks for a second grande, but doing so only prolongs and exacerbates what could be a serious problem. 1. Get off the caffeine merry-go-round. If you need it, have one cup of organic coffee and switch to green tea. You’ll still get a mild caffeine boost coupled with calming theanine and fat-burning EGCG. 2. Do breakfast correctly. A low-fat blueberry muffin with your morning Starbucks crashes your blood sugar, leaving you doubly fatigued and reaching for a late-morning caffeine and sugar boost. Start your day with protein for steady, sustained energy. I love protein shakes because they’re fast, easy, and healthy. Simply blend MediClear SGS Chocolate http://jinifit.com/shop_detox.html with unsweetened coconut or almond milk and frozen berries for a delicious breakfast that keeps you full for hours. 3. Eat blood sugar-balancing meals and snacks. While fast and convenient, a slice of pizza or fast-food burger will spike and crash energy levels. Opt instead for protein, healthy fats, and fiber at every meal. Easy options include a chicken Caesar salad (hold the croutons), a gluten-free wrap, or pre-cooked wild salmon over spinach leaves and olive oil. 4. Aim for eight hours of sleep every night. 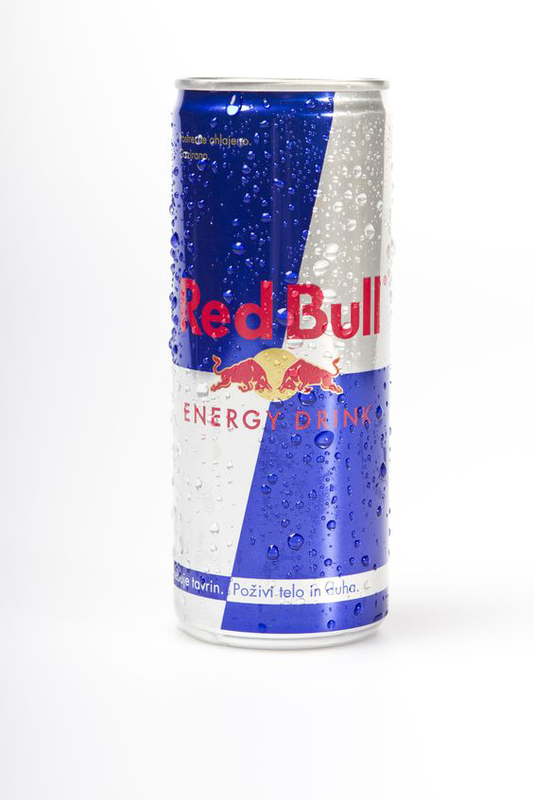 Many people compensate for a crappy night’s sleep with a morning Red Bull or gargantuan “extreme jolt” coffee. Among its countless benefits, deep uninterrupted sleep optimizes growth hormone (GH) and fat-burning hormones. Make eight hours’ sleep a priority. It’s that important! 5. Address adrenal health. Constant fatigue oftentimes suggests adrenal burnout. Your adrenals weren’t always meant to be “on,” and over time they become burned out constantly secreting hormones like adrenaline and cortisol. Caffeine, alcohol, prescription drugs, and nutrient deficiencies are among the culprits that seriously knock your adrenals out of whack. If you suspect adrenal fatigue, work with an integrative practitioner to develop a dietary, nutrient, and lifestyle plan. 6. Stay hydrated. While they might provide a temporary boost, energy drinks during a workout ultimately dehydrate you, crash your energy levels, and offer no crucial recovery benefits. Sip filtered water while you’re lifting or bursting. Consider an electrolyte-replenishment formula to relieve fatigue, cramping, soreness, and other workout impediments. 7. Try these healthy alternatives. Even when you do everything correctly, sometimes you’ll need a burst of energy to carry you through your workout. Elevate™ from Thorne Performance http://jinifit.com/shop_performance.html can give you a mental and physical boost to pull you through those last few sets or mile. Its herbal formula contains almost no caffeine or sugar to safely help boost energy and endurance during strenuous physical exercise and training without crashing.